Every year, online and retail shopping records are broken during the period between Thanksgiving, Black Friday and Cyber Monday. Black Friday and Cyber Monday are the two biggest shopping days of the year. Ecommerce continues to be the favorite choice of consumers who are trying to take advantage of holiday sales and steer clear of crowds during this busy shopping period. U.S. customers spent a total of $12.8 billion online between Thanksgiving Day and Cyber Monday in 2016. Cyber Monday 2016 was the biggest day for online sales in the U.S. in all of history. Here is a step-by-step guide on how to use a marketing automation platform to formulate a campaign that can help you capitalize Black Friday traffic and get an edge on your competitors. A personalized re-marketing ad that showcases the “Black Friday leftovers”. These are the items that you have stock that didn’t sell on Black Friday. You can provide additional incentives to those who have shown interests amidst the Black Friday rush but did not end up purchasing. Pop-up AD for customers who view an item and then exit site. Tailor-made landing page advertising Black Friday leftovers so customers can browse sale items prior to Christmas. On-site exit intent form that allows them to “save the offer” for another seven days and follow up with automated emails showcasing a discounted price on the product. As items sell out fast during the holidays, a great way to interact with your customers is to notify shoppers of items they might have missed out on due to low inventory. You can send out a reminder email once a product is back in stock so they have the opportunity to purchase it after the holiday. The customers who are shopping on Black Friday aren’t necessarily brand loyal. They are looking for special offers or clearance items so they can take advantage of big savings. They might not purchase at another time of year or at the base price. The goal is to make an offer appealing so you can gain revenue from them while other eCommerce shops are sitting back and crossing their fingers until the next sales period. You can capitalize on customers by offering price drop alert only to those who have viewed the product during the sales in order to further engage their interests weeks after Black Friday. It’s important to segment these customers based on their page exit. 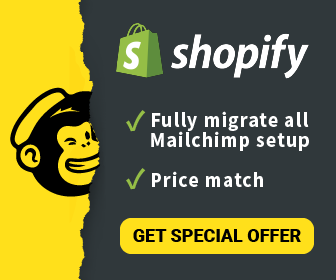 Prevent them from leaving your site without a really amazing offer tailored to them. You should have a variety of personalized offers based on the visitor’s journey. For instance, if a visitor has seen 3 or more items within a category, you can offer a special category bundle to maximize the order. This type of automation can do wonders for your sales. In order to do this properly, you need to create a different re-marketing campaign and CTA for the different segments of traffic gained. This should be based on the point they left the site. If they left immediately after clicking, they should receive different messaging than if they went deep into your site and examined a variety of products. This helps you to ensure that you are maximizing conversions. Abandonment campaigns can be very successful – if customers have left items in their cart without purchasing you can contact them with automated emails to let them know that product is still available or on sale. Make sure to frequency cap your ads too. Don’t show the same AD to the same audience more than 3 times. Hence, it’s important to use different banner formats. That will have higher success rates than just putting the same ad in front of a customer repeatedly. You can use Google Display Network (GDN), Google’s AD network of AdSense publishers who have signed up. It’s a good way to use Google’s data on its users to target ads toward your customers and split them into segments. You can create a landing page for each segment that exits in the funnel. Also, add the exit intent pop-up to “save the offer” for the product visitor were viewing when they exit your site. This can be an added discount, a bundle offer, or whatever type of appealing offer you can provide. Once you have their email address you can add three automated emails for the next seven days — one on day one, one on day three and a final one on day seven. It’s especially important to stay in contact with first-time shoppers from your Black Friday traffic in order to maintain a warm relationship after the holiday season. Create a series of curated content based on the shopper’s interests and follow up with them via email over time. Last but not least, the core ingredient required to capitalize your Black Friday traffic is Marketing Automation. It provides your brand marketing all the needed automations that can reactivate customers and convert visitors to customers. Consumer tastes and choices, at the same time, may remain more consistent than you think. That’s why many people often end up with the same colored dresses or similar styled items. The insights on what your visitors have demonstrated interests in via the Black Friday traffic to your site work well in re-engagement campaigns come next Black Friday season. You can give your customers a sneak peak view on the times they purchased or liked in the previous season ahead of the next sales. This is bound to increase interests and drive more traffic back to your e-shop. Marketing automation has limitless potential for eCommerce, and Black Friday and Cyber Monday are incredibly important holidays to take advantage of the huge amount of revenue your business can bring in. This type of marketing automation can be easily set up in ContactPigeon’s marketing automation platform. It only takes a few minutes, and the results can be easily measured so you can see the results of your efforts. If anything goes wrong, ContactPigeon’s support team is always there to help!